One class of students who gave their lives to Jesus while ministering in the schools. Life is not as complicated as we make it out to be, but we make it hard by knowing too much. We think we must gather all the information, weigh all the options, and then make an informed decision. This takes too long and is more complicated than necessary. Faith is trusting that God knows best and His promises will come about no matter what the situation. It is so simple what we have been doing here in Southeast Asia. We have been partnered with a pastor and translator. In the morning, they come and get us, then we go out all day. There are always plans, but it is almost not worth asking what we are going to do because these plans are ever changing. There is a beauty and an adventure in not knowing where you are going or what you will be doing. Your only focus is to trust that God will give you whatever you need when you get to that situation. Before coming here, God gave me a message to speak whenever I was asked. The first two opportunities to speak, God did not let me share this message, but changed what I was to share at the last minute. I still do not know how many opportunities I will have to share, but I trust God will give me what I need at exactly the right time. Originally, we were supposed to be doing home visits with the friends and family of the people in the church. Until last night, I had done none. My pastor wanted to immediately go out and do street evangelism. This is definitely not my gift as I shared before. However, God has given me the grace to share in markets, bus stations, schools and more. Yesterday, God opened the door for me to begin praying for the sick and apparently that is what He wanted to do. I laid hands on the sick and prayed for more than 20 different people, several getting a least a measure of healing immediately. God even opened the door for me to pray over a young man oppressed by the devil for 13 years. On the way there, they said we were going to pray for a sick boy because that is all they knew before we got there. God worked in a mighty way in each situation. This young man was set free from 13 years of demonic oppression and began receiving healing and restoration. My encouragement for you today is keep it simple. Don’t make life difficult! The salvation, healing, and deliverance we are seeing in a mighty way here can and will happen right where you are if you keep it simple. Here, are two steps straight from the Word to help you walk a simple life and do great things. 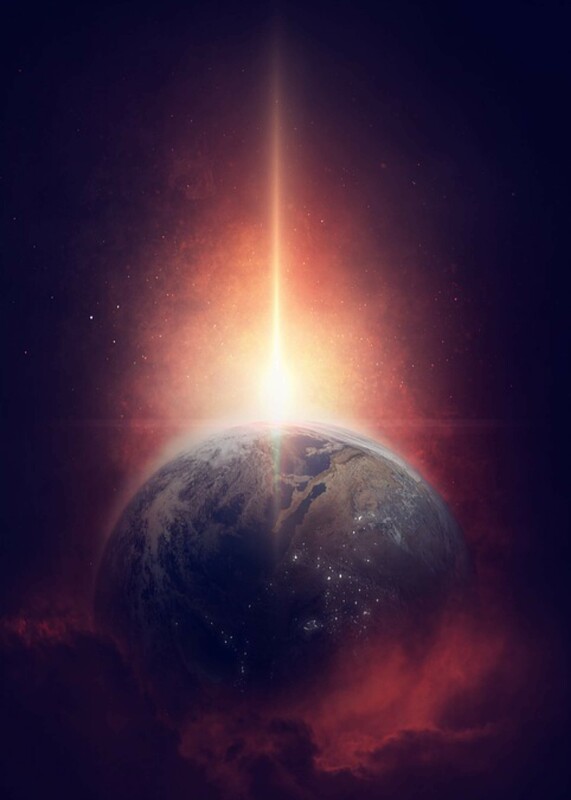 Daniel 11:32 …the people who know their God shall be strong, and carry out great exploits. The more you come to know God, the stronger He will make you. Also, He will give you everything you need to do great things. Psalm 81:10 I am the Lord your God, Who brought you out of the land of Egypt; open your mouth wide, and I will fill it. The word of God coming forth from your mouth changes things. If I spent all day seeking God and then went and stood at the market, nothing would happen. God needs you to open your mouth and speak forth His word. The promise is that He will give you what you need to say as you know him and open your mouth. I bless you today with the ability to keep it simple. May you come to know God more and open your mouth to share about this great God you love and serve. 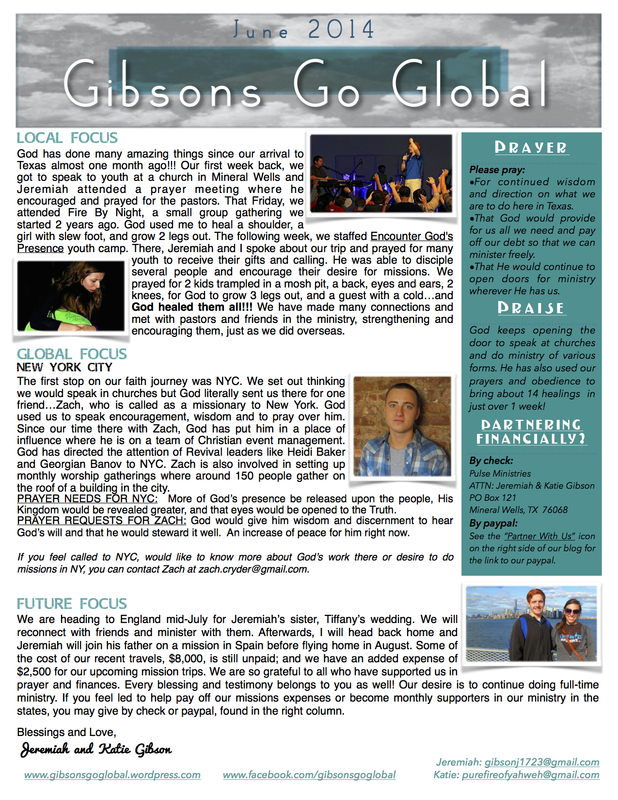 This entry was posted in Jeremiah, Southeast Asia and tagged Asia, church, Daniel, deliverance, Evangelism, fire, Gibsons, Gibsons Go Global, Global, Global Mission, God, grace, healing, Holy Spirit, Jesus, keep, Kingdom of God, Lord, Man on Fire, Market, minister, mission, obedience, pastor, Pray, Prayer, preach, Psalm, salvation, school, Simple, Southeast Asia, trust, Truth, wisdom on August 8, 2018 by gibsonsgoglobal. Headhunter warriors give their lives to Jesus!!! Often, our expectations, true or false, will determine our reality. All of us have expectations of the way things will be especially when outside of our routine. Often, I will tell my wife to expect the unexpected; but today, God decided to remind me of this and shatter some of my false expectations. Many things have already happened on this trip that were better than I had expected. We were told there would be no AC and I did not expect hot water… Hence the way I started out the last post (I just did not know how to work it right). Surprisingly, we have both. I am thankful for them, but God knew they were not necessary for me. Another thing I did not expect was the opportunity to try some new foods. Both dog and bat were served at a service I went to. Everything was so spicy that through the sweating, tears, and raging fire in my mouth, I could not taste much. I have decided that I do not like bat though because there are way too many bones and not enough meat. Somehow, I survived. But really, none of that really matters. What would take place after this service is beyond what I ever expected. Originally, the team I am with had prepared the way by speaking to the pastors and having them prepare homes to visit where the lost would get saved. The Pastor I was with was not there so he did not receive these instructions. Instead, he decided for us to go out witnessing on the street. When I found this out, I immediately began praying for strength and ability. Those of you who know me could easily surmise I do not have the gift of evangelism, and mass evangelism in public is rather intimidating to me. I had to give the situation to God and ask Him to give me grace to do something that was entirely outside my comfort zone and expectations. I am sure I will have to do the same thing tomorrow. All the way from the service to the first place we would go out, I was praying silently and feverishly. God gave me grace in an excited couple that gathered the people into groups and then had me come over and share. This made it a little easier, but not really more comfortable. The picture above was the first group they had me come share with. The intimidation factor is way up there when four people in full headhunting warrior dress are standing there with swords and skulls hanging from their waists looking at you. God gave me the grace to go all in and all of those red warriors and a few other people around got saved. We ended up sharing for around an hour and 19 people, that I know of, prayed to become born again. This was far more than I expected as uncomfortable as I was going in. I praise God for His grace, strength, and boldness to share. So, what about you? What expectations do you have that need to be broken down? The enemy will always try to put false expectations on you to hold you back from the fullness that God has. What comforts do you need to release? What fears need to be broken? What expectations need to change to come into line with what God wants? Only He can change your wrong mindsets. But, you have to be willing to step out of the boat!!! If I had said no for any reason, I would not have seen these souls enter the Kingdom. If Peter had said no, he never would have gotten out of the boat. Yes, you may fall, but Jesus will be right there with you to save you and put you back on your feet. I invite you to ask God right now, to change your expectations to expect what was once unexpected to you. My God “is able to do exceedingly abundantly above all that I ask for hope for or imagine through His power working in me.” I pray that you allow that same power to work through you as you follow and obey Him!!! This entry was posted in Jeremiah, Southeast Asia and tagged ability, again, ask, Back, bat, better, boat, Boldness, bones, born, broken, change, Comfort, couple, Determine, dog, dress, enemy, Evangelism, expect, expectation, factor, fall, false, Fear, feet, fire, follow, fullness, gift, God, grace, Group, headhunter, hold, intimidation, invite, Jesus, Kingdom, mass, Matthew, mindset, need, Obey, often, Opportunity, out, outside, pastor, Peter, pick, praise, Pray, prepare, public, reality, reason, red, release, remind, save, share, shatter, situation, skull, soul, spicy, step, street, strength, Survive, sword, Thankful, True, try, uncomfortable, unexpected, up, Warrior, willing, Witness, wrong, zone on August 5, 2018 by gibsonsgoglobal. This past weekend, we had the privilege to take a small group of people to a conference in Austin. While this conference was amazing in every way, God was speaking to me something deeper and more profound than I could ever learn at the conference. 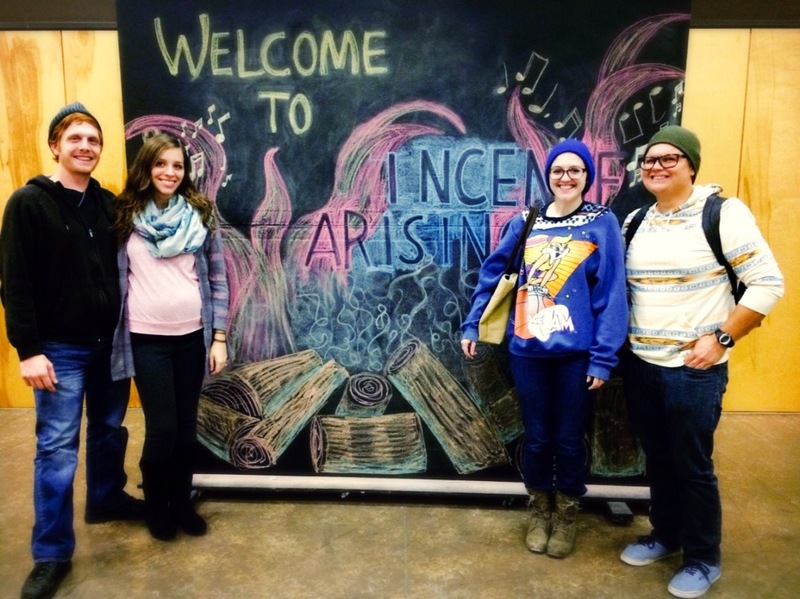 Jeremiah, Katie, Jade and Jake at the Incense Arising conference. While we were in Austin, I got the opportunity to look up some of my parent’s good friends who are pastoring a church in Round Rock. In fact, this couple Jim and Sylvia Patterson, were my first pastors. That was about 21 years ago though, so I really had no relationship with them, but with their daughters. Since that time, we had all but lost contact with them until the advent of the Facebook. I reconnected with them in July and had the desire to reconnect with them. God opened the door and we were able to eat lunch with them and then attend their church on Sunday before returning home. Now, I could have reasoned within myself that I do not really know them and it might be kind of awkward. I will probably even miss part of the conference that we are attending. I could have explained away all the reasons to meet with them, but I thank the Lord that I did not. Meeting these pastor friends was such a blessing to me and the people with me. We were able to share our hearts and get to be inspired by theirs. In the end, we encouraged and blessed one another just because we were willing to go out of our way and off our regularly scheduled programming. Yesterday, I was reading Romans once again and rediscovered a passage that was so central to our journeys around the world. Romans 1:11-12 “For I long to see you, that I may impart to you some spiritual gift, so that you may be established— 12 that is, that I may be encouraged together with you by the mutual faith both of you and me.” Contained within this passage is our heart for the people of God all over the world. We desire to come to them and encourage and be encouraged and help them out in any way that we can. This is what being a family is. We went out of our way to meet with this couple that I barely knew, and my wife and friends did not know at all. In the end, we had a great God moment in the middle of the restaurant praying and blessing each other. We were truly family even though we had barely met. I want to encourage you in two ways today. First, do not allow silly things to keep you from relationship with the family of God. We can allow inconvenience, awkwardness, earthly divisions, and other earthly things to keep us from getting to know the true family of God. When Jesus is the center, we have the ability not only to encourage, but be encouraged by our brothers and sisters. Seek to be in unity with the family of God so that the blessing of unity may come upon you. Practically encourage someone today, not because they are your friend, but because they are a brother or sister in Jesus. Secondly, we must be willing to be inconvenienced so that Holy Spirit can lead us into obedience and blessing. We got to hear a lovely couple from Africa speak about how inconvenience had led them into more ministry in South Africa. People interrupting them while they were building ended up getting saved and discipled because they took the time to be with them and realized the true treasure in people. We make special time for our physical family, and we must be willing to take time for the children of God. If not, we are throwing away not only the very treasure that God wants but the treasure that He wants to bring us!!! Look for the treasures of the Lord today and do not let inconvenience, selfishness, or fear keep you from receiving these blessings from the Good Father!!! This entry was posted in Jeremiah, Texas and tagged Africa, Arising, Austin, Blessing, church, Conference, Contact, couple, Daughter, Disciple, Door, eat, Encourage, Facebook, Faith, family, fire, Friends, Gibson, Gibsons Go Global, Global, God, Holy Spirit, Impart, Incense, Jeremiah, Jesus, Jim, July, Katie, Lord, Lunch, Man, Meeting, Ministry, Missionary, obedience, Opportunity, Parents, Passage, pastor, Patterson, power, Prayer, Restaurant, Romans, Round Rock, South Africa, Spiritual Gift, Sunday, Sylvia, Texas, Treasure, World on November 11, 2014 by gibsonsgoglobal.